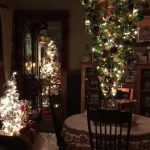 There’s something about the rosy faces, the timeless decorations and the nostalgia that makes Norman Rockwell Christmas paintings one of the most iconic of the season. 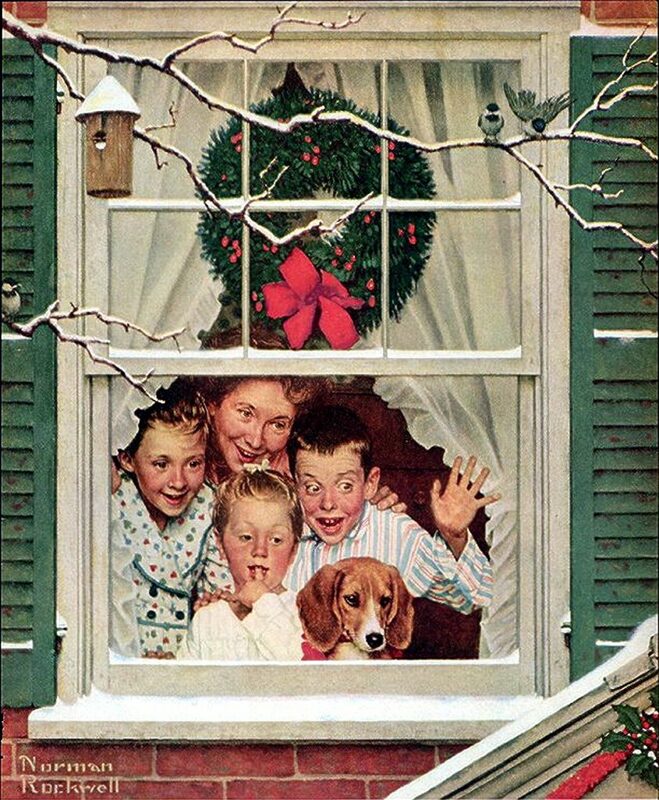 We just can’t help having that warm happy vintage Christmas feeling whenever we see the realistic, and yet still cartoonish, paintings from this mid-century artist. 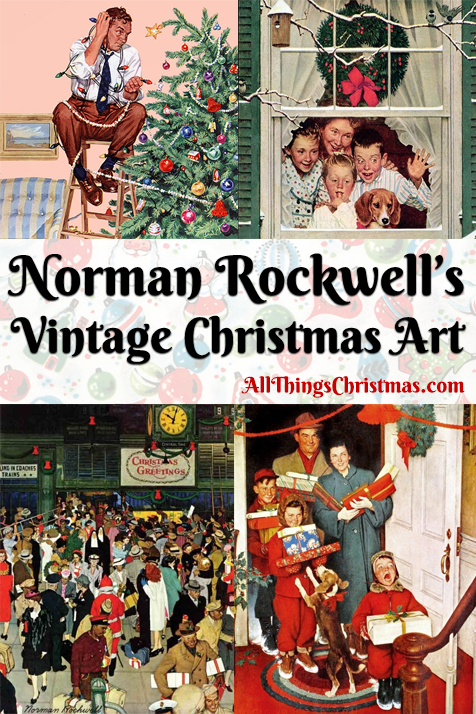 Here we put together a few of our favourite Norman Rockwell Christmas paintings, and the best of his amazing vintage art for the holidays. One of the most famous and iconic scenes created of Norman Rockwell christmas paintings is this one of a family arriving at Grandma’s House for Christmas, armfuls of presents and tracking snow in – probably the ideal picture of how most Christmas Eve’s were in your Childhood. Another family, another dog. Looking out of a wonderfully decorated home (even the holly on the garage is perfect), looks like a surprise good enough for Christmas Morning! 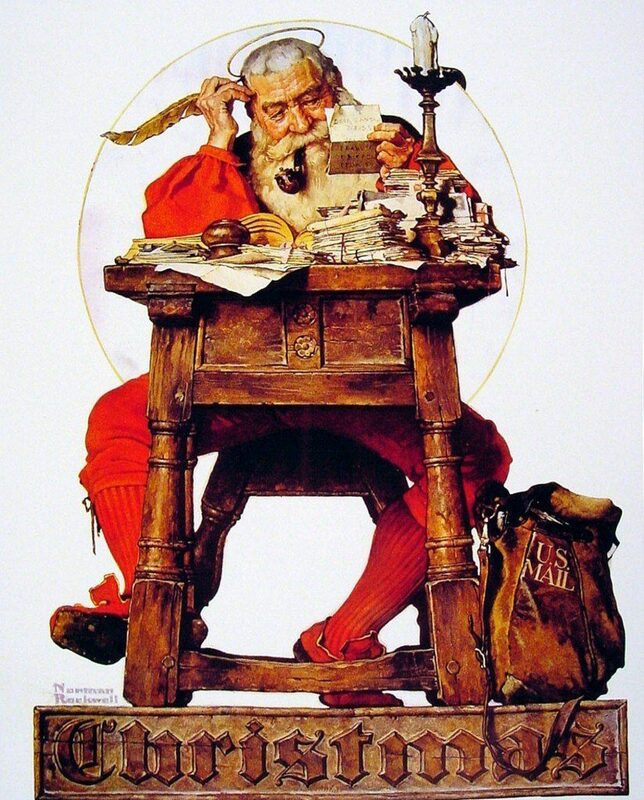 Perhaps one of the most famous images of Santa of Norman Rockwell Christmas drawings, this one has graced the cover of many magazines, books and novels about the artist. Santa, checking letters, clad all in red. 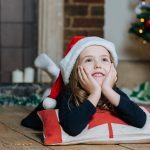 Norman Rockwell created the vision of Santa Claus we still use today, learn more about the History of Santa on our site, too! 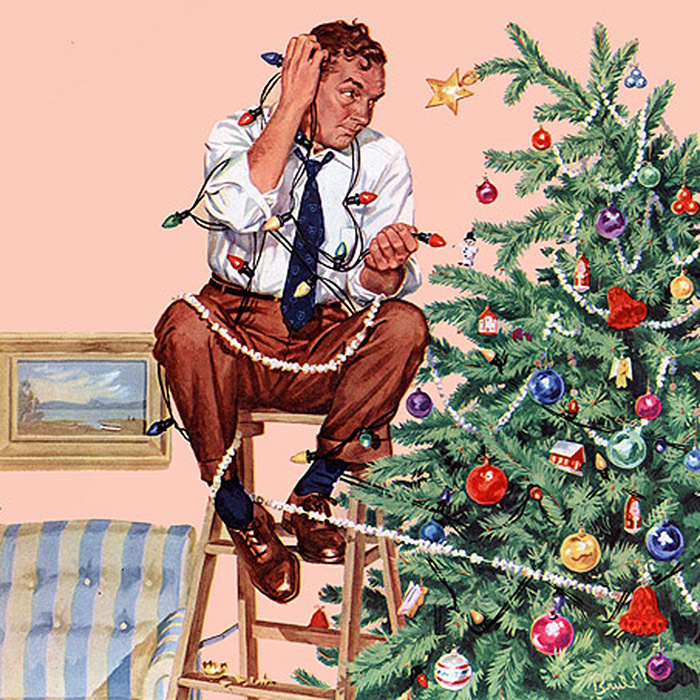 One of my all-time favourite Norman Rockwell Christmas pieces, the chaos and confusion that goes along with Christmas nearly gives the whole thing purpose! 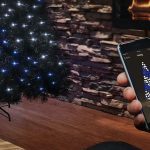 The tree, adorned with vintage lights and ornaments really gives that nostalgic feel. This is the type of painting I could stare at for hours, like an old-fashioned Christmas Village, it has so much going on. 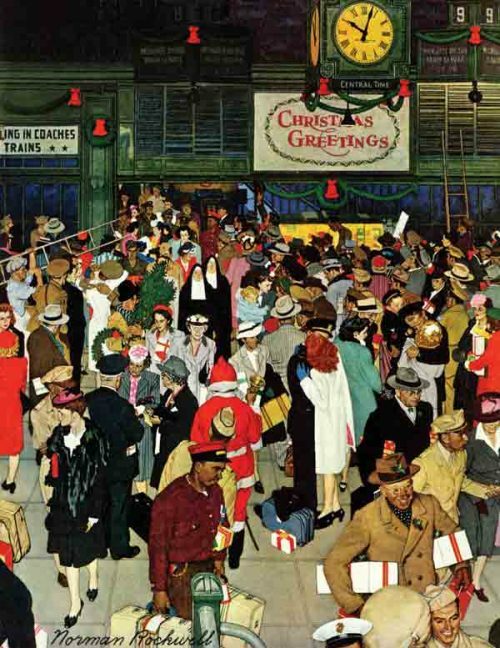 Happy faces in the crowd, Christmas cheer everywhere – this is a fantastic snapshot of a festive holiday train station. 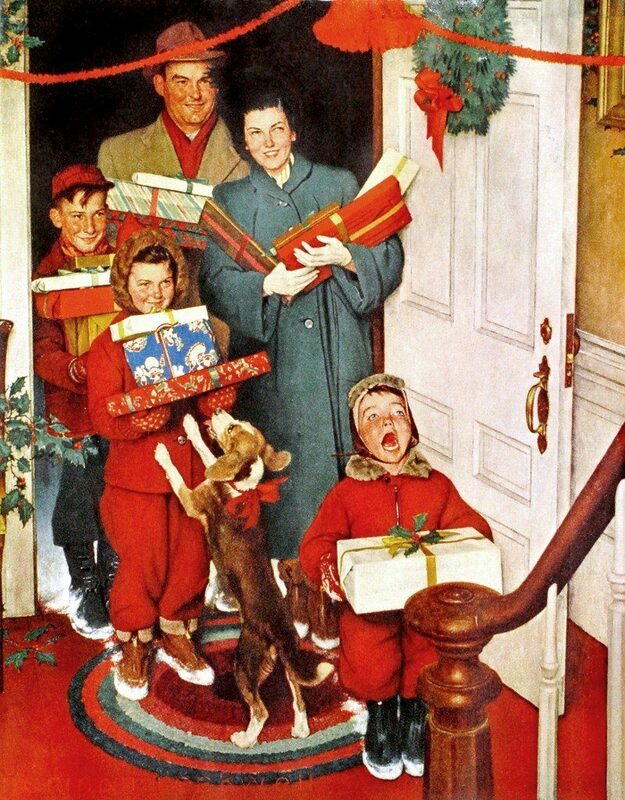 What’s your favourite Norman Rockwell Christmas artwork? Share on our Forum!